Photos: On acidic rock. Ballingeary area, Cork, SW Ireland. 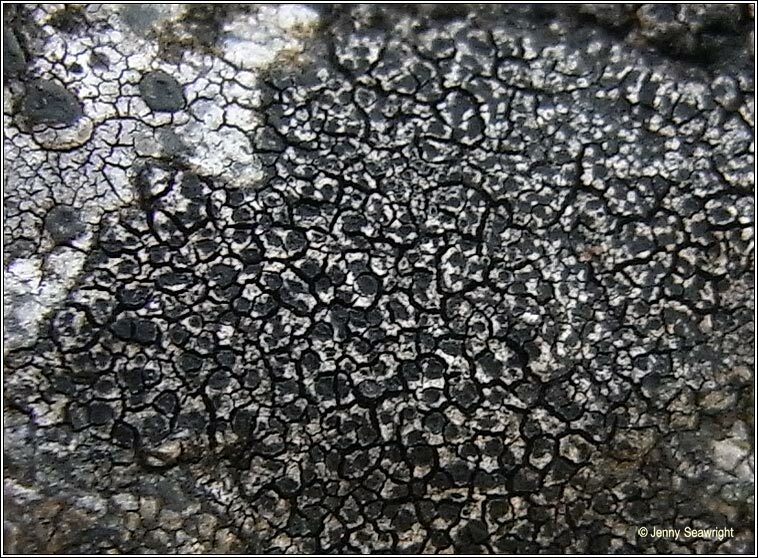 Thick or thin, mosaic-forming areolate thallus, often less than 2cm diameter with black prothallus. Areoles are pale to dark grey, sometimes tinged brownish. 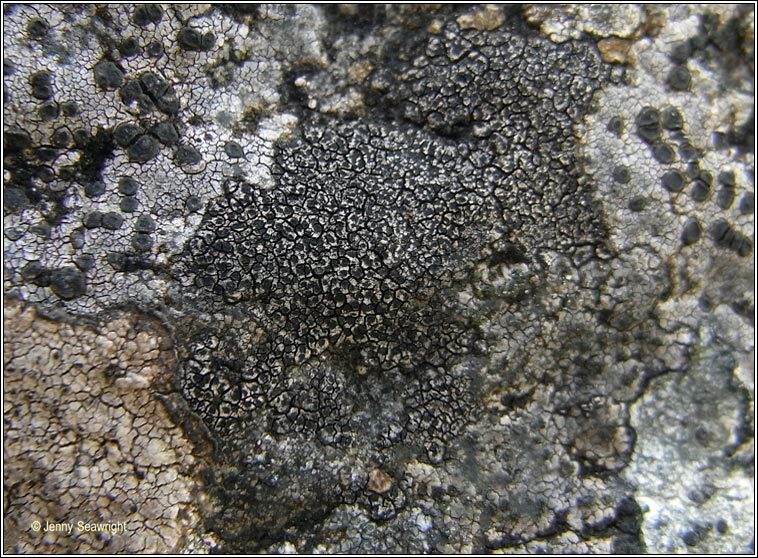 Abundant immersed apothecia with small black discs. Pycnidia are rare. The asci are 8-spored, spores brown, 1-septate, 13-18 x 6-12 µm. 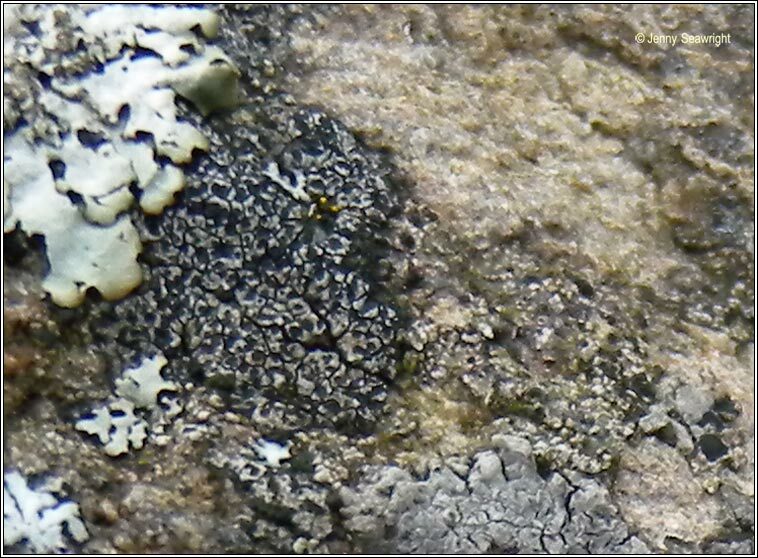 Acidic rocks, pebbles and dry stone walls, often pioneer species. 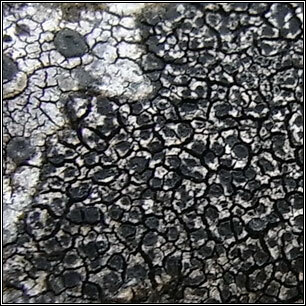 Placopyrenium fuscellum, chemical reactions negative.